Pioneering feminist artist Yun Suk Nam (born 1939) uses portraiture to gain insights into the lives of women, past and present. 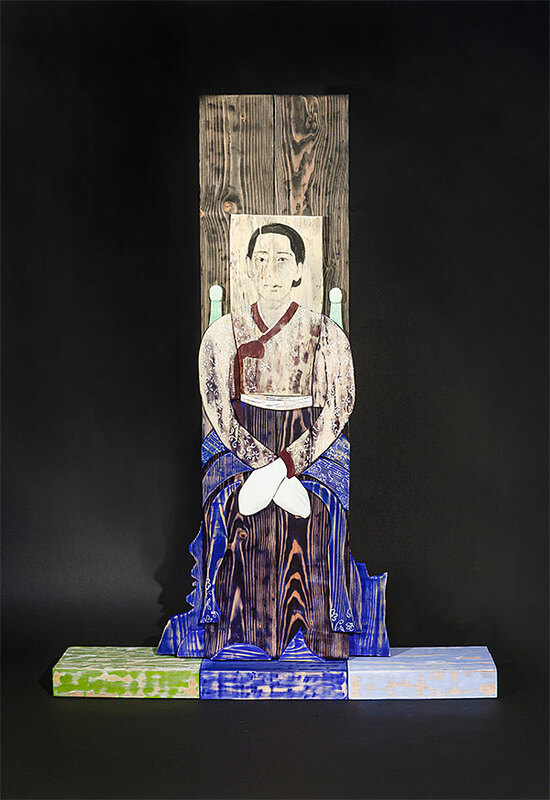 A wood assemblage portrait of her mother is the centerpiece of this exhibition, which includes portraits of American artists, such as Louise Bourgeois, Louise Nevelson, and Marisol. The exhibition highlights shared themes and artistic approaches that have activated women artists from different parts of the globe. Robyn Asleson, associate curator of prints, drawings and media arts, National Portrait Gallery, is curating this installation.